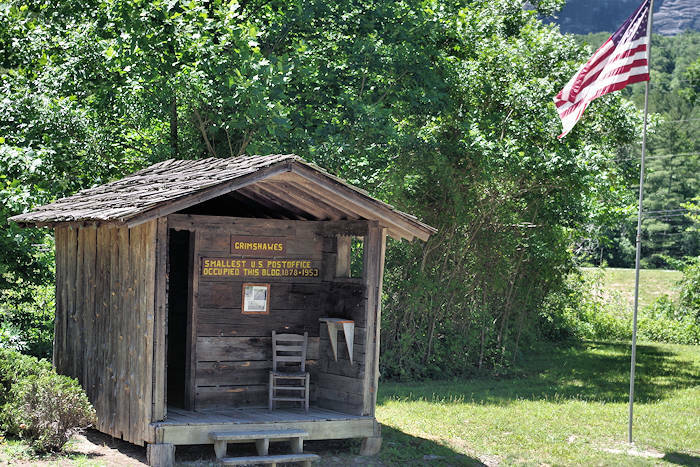 See the "Smallest U.S. Post Office" in the United States, located near Cashiers. 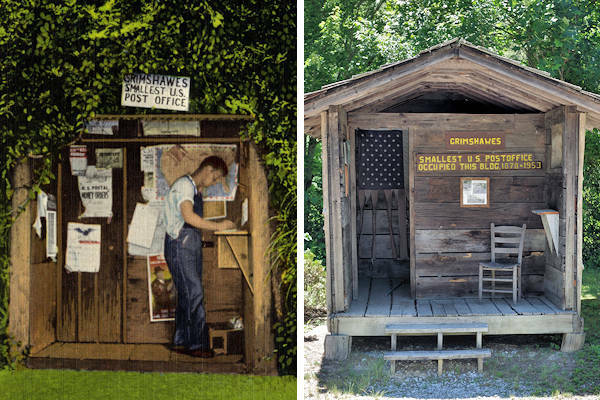 The tiny 5-foot by 6-foot Grimshawes office served from 1878 until 1953. It's roadside and open every day for curious visitors snapping photos. Historic post card (UNC Collection) left with current building on right. Before becoming the "Grimshawes" post office in 1909, it operated as Whiteside Cove starting in 1878. All of its postmasters were named Grimshawe. 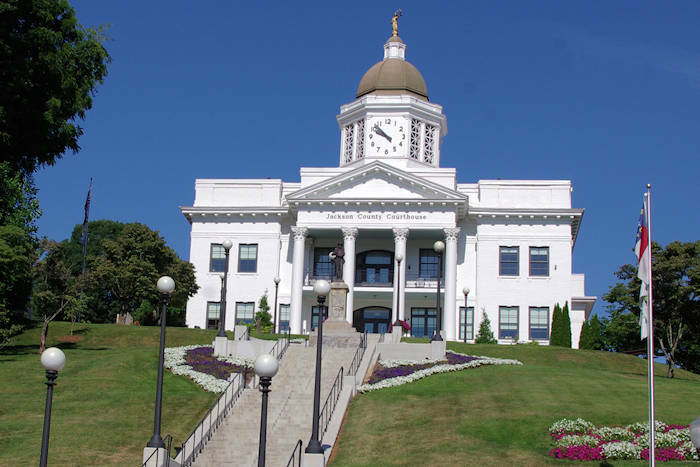 After it closed in 1953, the building was moved to the top of Whiteside Mountain to become a ticket office. After falling into disrepair, a group of locals saved the building in the 1970s and moved it to its present location. 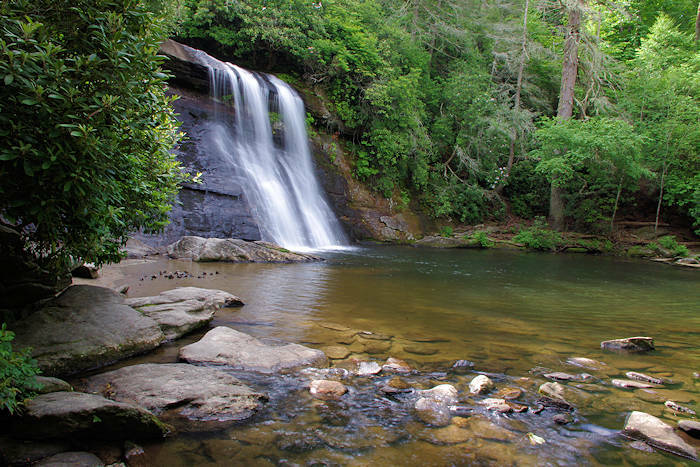 Directions from Cashiers: From US Highway 64, take Highway 107 South for 1.7 miles to Whiteside Cove Road on the right. Drive 3.9 miles to the tiny building on the right. Located along NC 107 is the historic Zachary-Tolbert House, a rare Greek Revival style home built in 1852. Surviving intact for 150 years without electricity, indoor plumbing, or central heat, it now serves as a museum exhibiting a unique collection of hand-crafted ‘plain-style’ furniture built by the original owner. 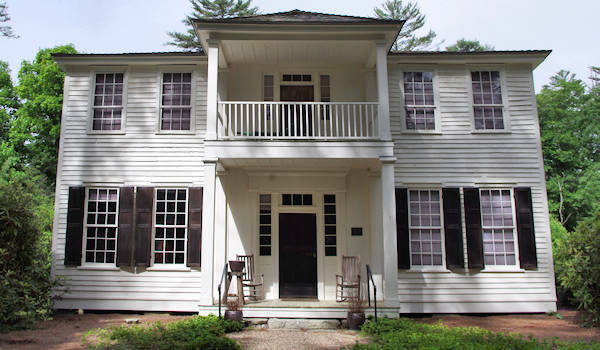 The Cashiers Historical Society bought the home and has opened the grounds to visitors. While the 8-room house is only open for tour on Fridays and Saturdays 11-3, Memorial Day through Labor Day weekends, the grounds are always open. Walking trails take you by a cabin, springs and archaeology exhibits. Visiting the grounds is free, and guided house tours are a suggested $5 donation. Directions: Located on NC 107, approximately 2 miles south of the intersection of US 64. Street address is 1940 Hwy. 107 South, Cashiers.